No more kicking, screaming or bribing your kids to eat their breakfast. 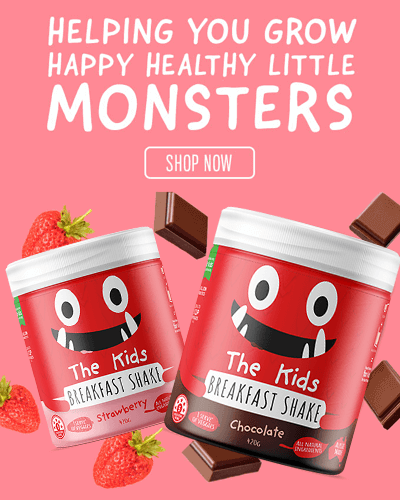 Thanks to our delicious Kids Breakfast Shake your little monsters will get the nutrition and energy their growing bodies and brains need to start their day the best way. Unlike many breakfast cereals and drinks that are full of sugar and nutritionally empty, The Kids Breakfast Shake is not only low in sugar but packed full of Protein for their growing muscles, Calcium and Vitamin D for strong bones, probiotics for good health. Plus each serve of The Kids Breakfast Shake contains the ORAC equivalent of 1 serve of veggies. Why You Need The Kids Shake?